The winds were higher than expected when I got to the field at 6:30. I put up the wind sock and waited a bit . It seemed to be cycling about every 7 or 8 minutes. At 7:30 the crew started to arrive. Mike bennett and Tom P. came ip from Snowflake followed by Paul and Dan. prett soon we had a good crowd. The winds were still strong but after watching several footlaunches I decided to go for it. I was set up by the truck with the windsock directly to my left. I wanted to watch it and time the launch for when the wind came down. BIG MISTAKE! The wing came up and immediately started to ossolate, it settled down and I started to roll out. The launch was without drama but when I looked up to check the lines, there was my windsock streaming from the port side C lines. The wing was flying fine and I didn’t notice any tendency to pull to the left but it looked bad and so I lapped the field and landed. The next attempt was a fiasco, the wing came up fine but collapsed during the run out. I was able to recover it only to have it collapse again. After getting it overhead a third time I was probably 30 degrees off the original heading and the wing was flying straight, just as I powered up to launch it folded up again so I shut it down. The kicker was that just as the prop wound down the wing reenflated and there I was sitting in the middle of the field power off kiting the wing. I could have probably started the motor and launched without incident but enough is enough. While I was hauling my gear back to the truck Mike Bennett went up to demo the new Eden 5. It’s a whole new wing, certainly not DHV 1-2 anymore. He pulled several impressive wing overs and one very scary looking barrel roll. He wasn’t phased by it but I was puckered. 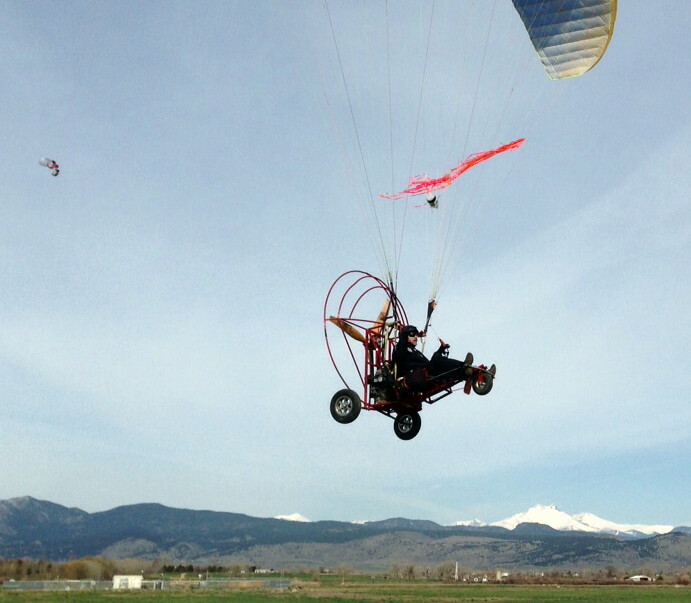 Finally I launched and enjoyed a little windy airtime. The chase cam was tracking well and I was looking forward to seeing the footage from all the early morning shenanigans. Unfortunently the data got erased forever. I was able to see it once before i erased it and could clearly see the wing dip down and pluck my windsock off the pole and later flying from the lines off to port. Too bad it would have made a great “dumb chute” video. As we were packing up a fellow came by asking about the generac. we got to chatting and i was invited to go for a ride in his EZ LONG. It is a light sport X-perimental. …Got a ride on a EZ L experimental craft. 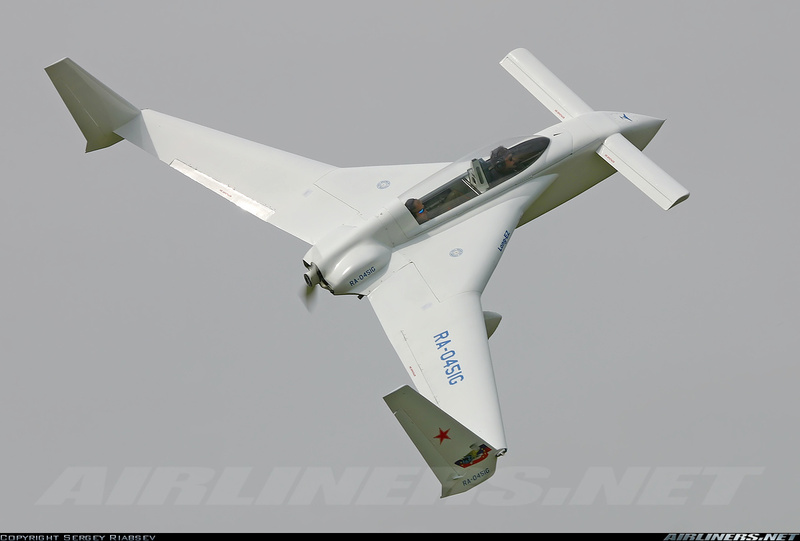 WOW ….fast, Long range, aerobatic, tiny, and did I say cheap? 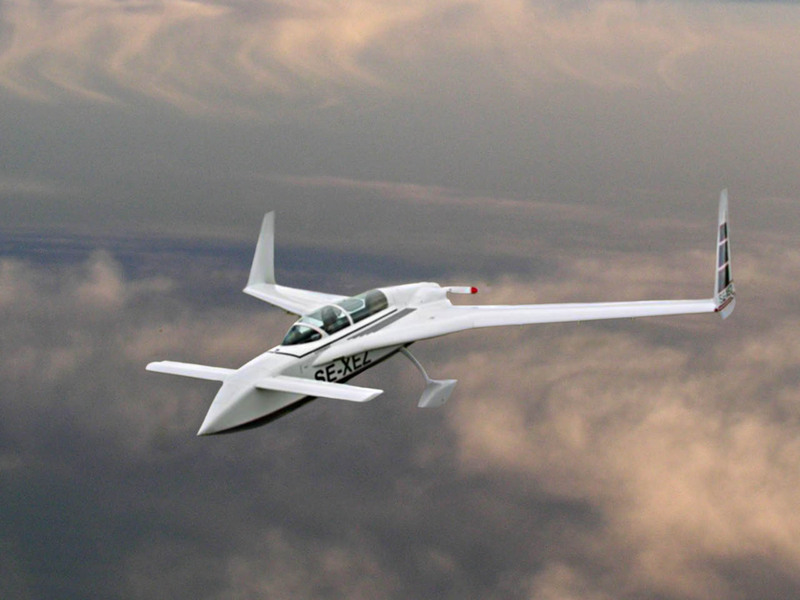 They are online used and flyable for under $40,000. We flew out to Winter park over to Granby and Grand Lake. Then to Estes and a couple of times around Longs Peak and back to Vance Brand. 90 minutes of airtime and he even let me fly a bit. The first time I grabbed the stick I gripped it like it was a mountain bike on a hard downhill but once I settled down it was easy with just the lightest touch required.